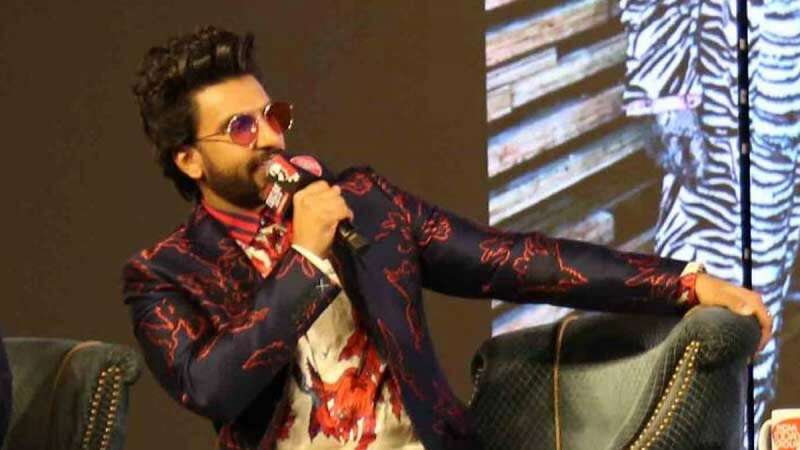 Ranveer Singh felt insecure on Deepika's decision to work with Ranbir Kapoor? New Delhi : Deepika Padukone and Ranbir Singh's love and breakup story in no hidden secret. In normal conditions, actors prefer not to work together if they have broken up; but Ranbir and Deepika turned out to be true professionals as they agreed to work together in an upcoming movie. At an event, Ranveer Singh was asked if he felt 'insecure' when Deepika Padukone decided to work with her ex-lover. He promptly replied, "'Do I seem like an insecure person, really?' I am not an insecure type at all. I am extremely secure in who I am and what I am. I know that nobody can love her the way I do, so it's cool." In fact, he said that he would be keen to collaborate with the actor soon. "We have had many opportunities to work together but none of them have worked out. But you never say never. I have a feeling it will happen in the near future. Hopefully, I would like it to happen sooner rather than later. And I know he wants to collaborate too. So let's hope it happens. I think it will be quite epic," he said. Ranveer was all praise for his actress wife. "Deepika Padukone ko wife bana diya, yeh hota hai achievement! Tere bhai jaisa koi hard-ich nahi hai!" he quipped.